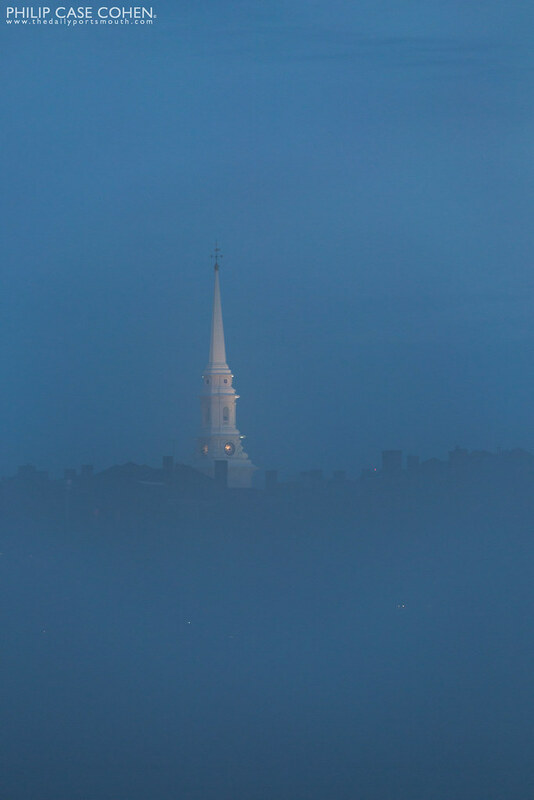 The silhouettes of the North Church and the Ceres Street waterfront at day’s last light and night’s early glow on one foggy summer evening. 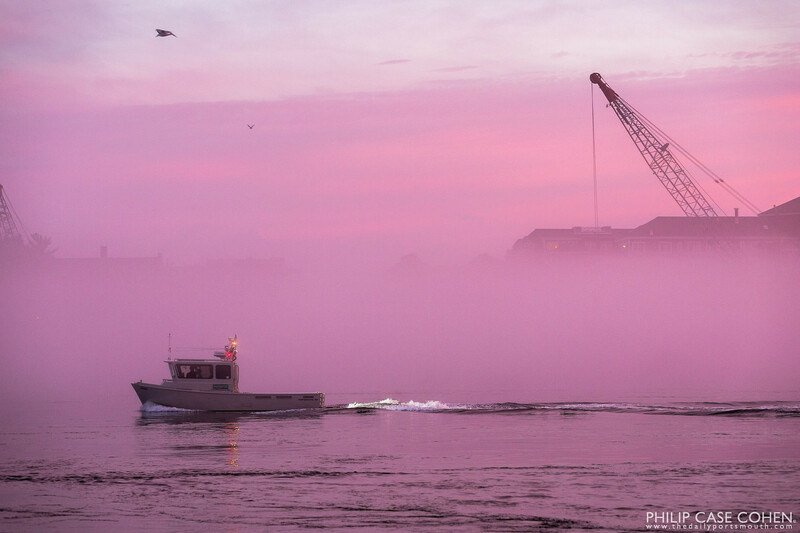 The Orion of Portsmouth, NH heads out towards the ocean late one day amidst a thick coating of fog during the warmer summer months. 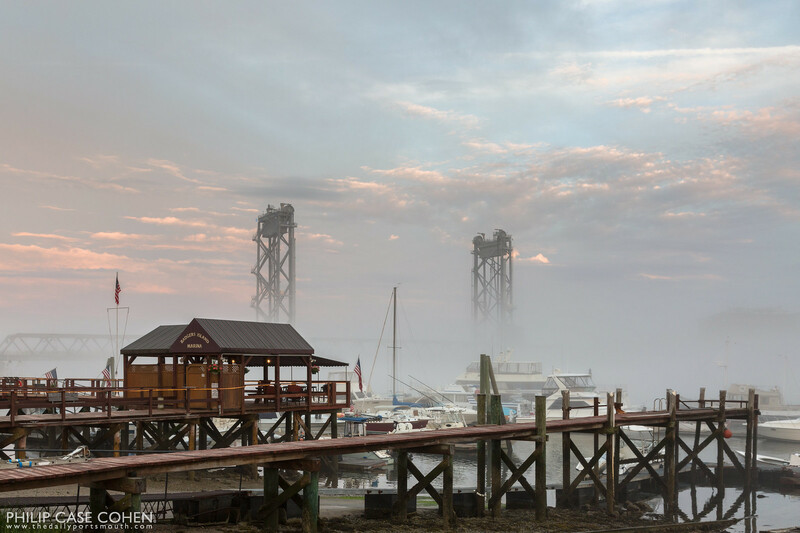 The Sheraton Harborside Hotel and one of the cranes of the working waterfront can be spotted looming in the background. 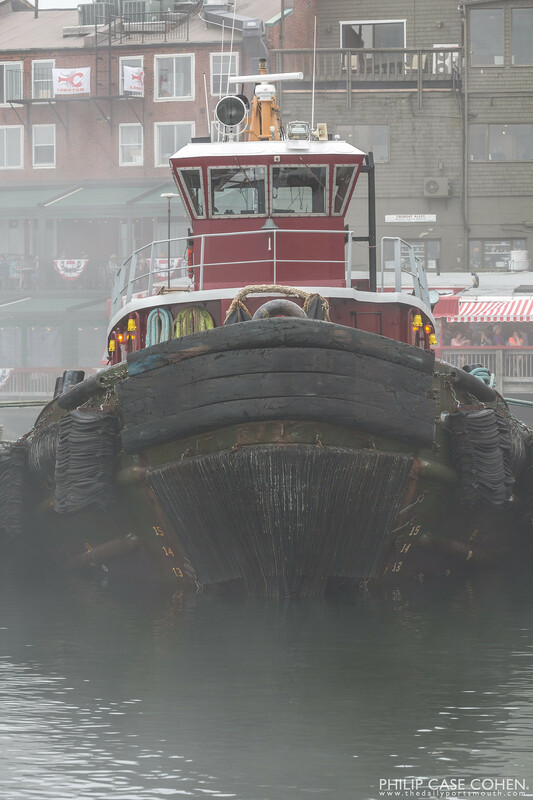 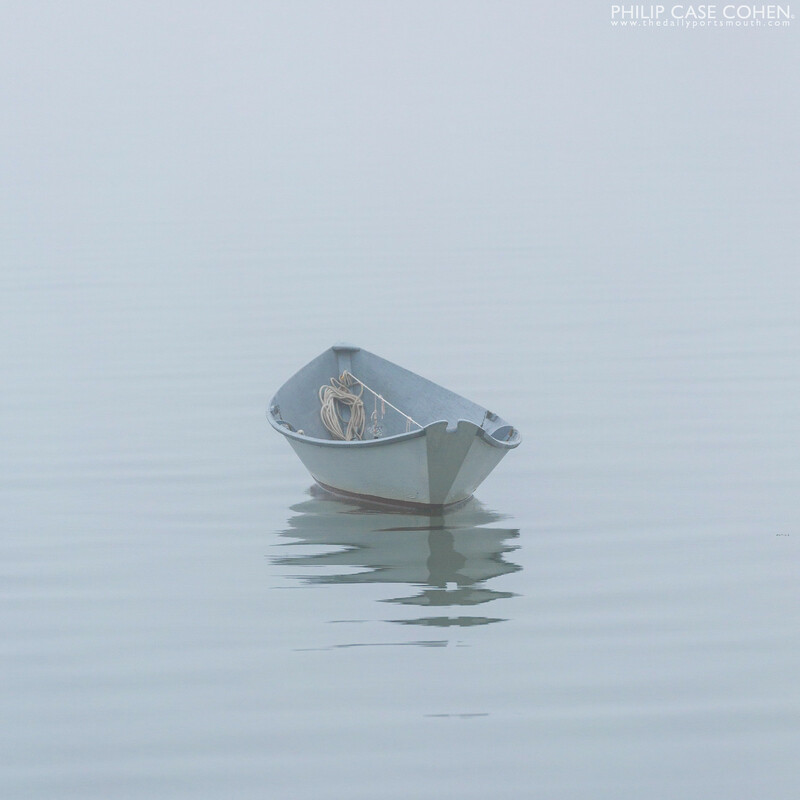 Another simple profile of a Moran Towing tugboat amidst a thick morning fog in the Piscataqua River. 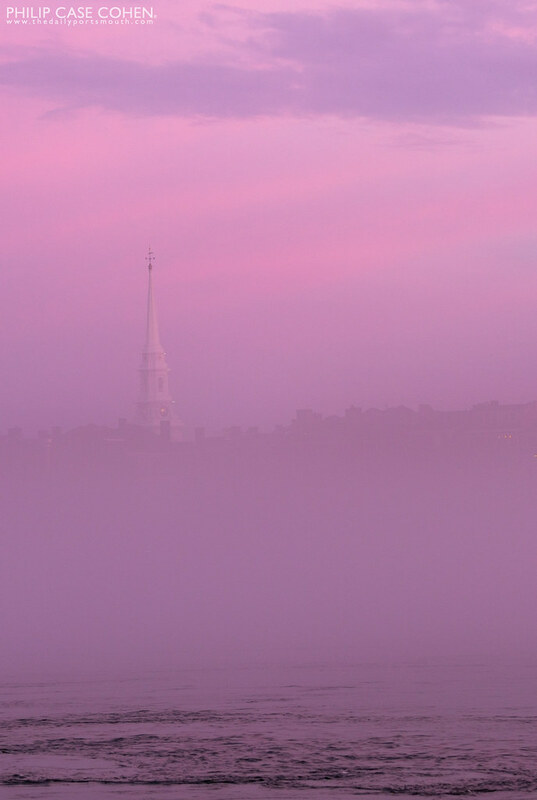 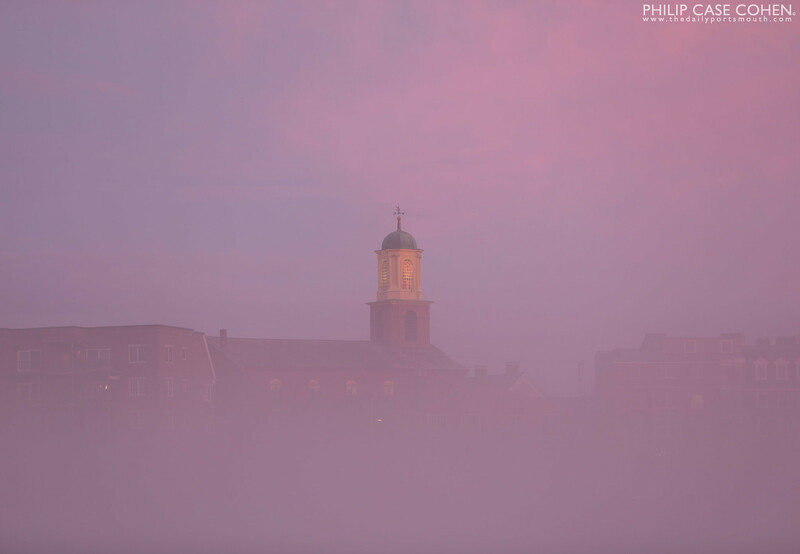 After an amazing sunset, the fog and the waterfront remained fascinating to watch. 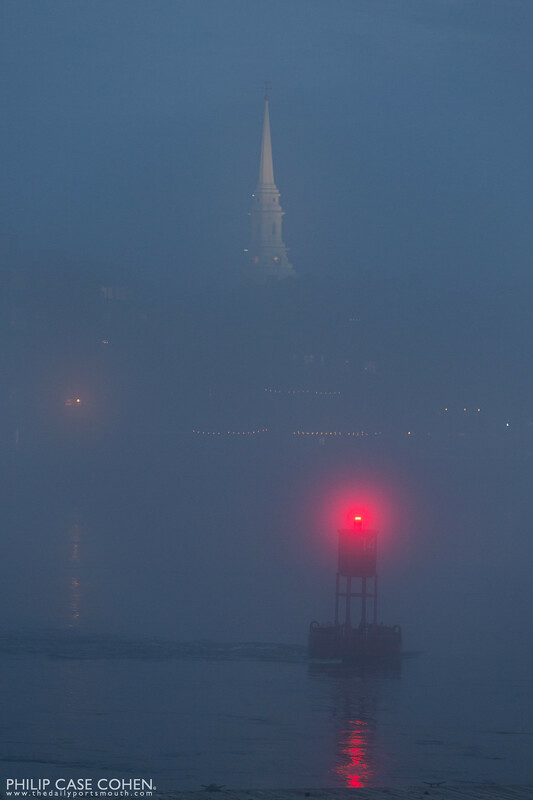 The buoy and its intermittent red light were a perfect pop in an otherwise subdued waterfront scene.